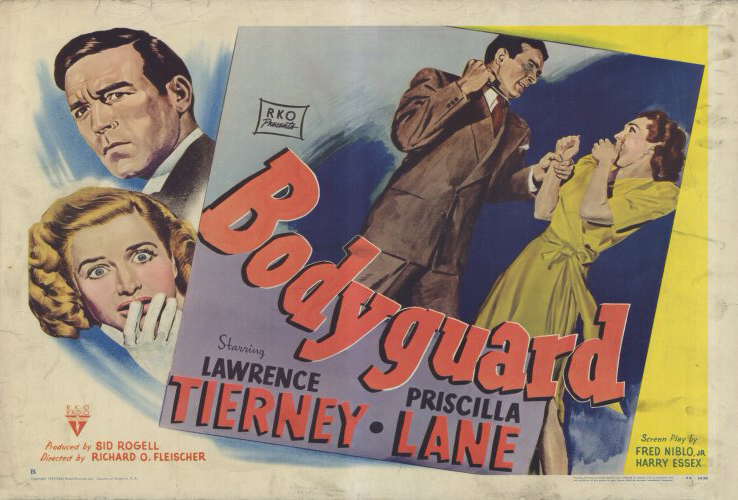 BODYGUARD is a nice little RKO film noir running a scant 62 minutes. It's distinguished by solid lead actors and some good Los Angeles location shooting. Mike Carter (Lawrence Tierney) is fired from the LAPD after clashing with a superior. Shortly thereafter, Carter is hired by Freddie Dysen (Phillip Reed) to guard his aunt (Elisabeth Risdon), the owner of a meat packing company. Within hours, Carter is knocked out cold at the meat plant; in a great noir moment, Carter regains consciousness and realizes two things: he's in a car with the very dead body of his former boss, and there's a train coming down the tracks aimed straight at him! 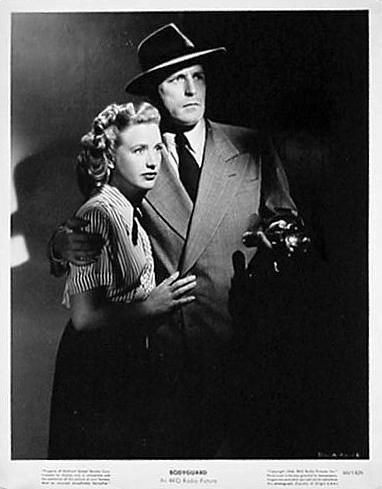 Carter, of course, has been framed for the death of his boss; he works with his devoted fiancee, Doris (Priscilla Lane), to solve the mystery and clear his name. In a unique plot device, Doris, who works for the LAPD, records file info onto records which Carter can play in a listening booth elsewhere. Since the movie's only an hour long, needless to say they figure things out pretty quickly! It's a well-plotted and interesting story. It's certainly not a classic, but it's one of those nicely made, entertaining little films which could be turned out fairly quickly by a group of pros who knew their business. It may have been treated as a programmer at the time, but viewed decades later, there's much to admire in a film such as this, and the brief picture of life in postwar Los Angeles is an interesting time capsule. Tierney is fairly stoic and deadpan as the ex-cop in a big jam, while Lane is her typically bubbly self as his romantic interest and Girl Friday. One wonders if opposites attract! The film has some other good L.A. flavor, with the opening credits superimposed over shots of City Hall and the Hall of Justice; a number of scenes were filmed around the city, although I couldn't identify specific locations. 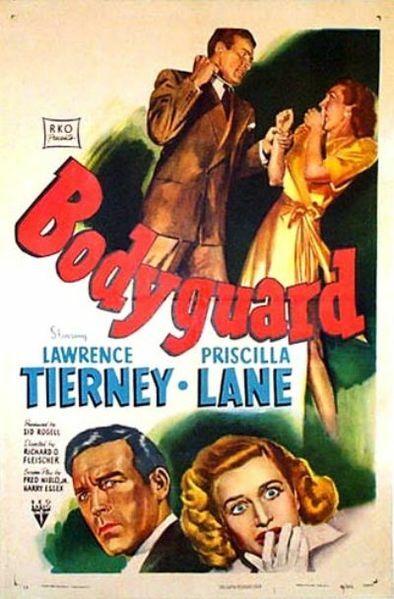 This was charming Priscilla Lane's 22nd and final film, her successful career having begun with VARSITY SHOW in 1937. (Seven films to go, and I'll have seen everything in her filmography.) Lane married an Air Force colonel during WWII; they had four children. Priscilla is buried next to her husband at Arlington National Cemetery. Risdon, who plays the wealthy meat company owner, is always a reliable character actress, and she does a good job here. Reed is appropriately slimy as the man who hires Carter. The supporting cast includes June Clayworth, Steve Brodie, Frank Fenton, and Charles Cane. The film was directed by Richard Fleischer (THE NARROW MARGIN), with the screenplay based on a story cowritten by future director Robert Altman. BODYGUARD was recently released by the Warner Archive. It's a good, crisp print. The film -- but not the disc itself -- was reviewed last month by Mike Clark of Home Media Magazine. This sounds swell. I'd like to see this one. I hope you get the chance to see it, Jacqueline -- I suspect you'd especially enjoy the glimpses of L.A. in the '40s, as I did. That is one of the funniest romantic pairings I've ever seen in a flick! I may just see it based on my curiosity about their chemistry alone. It really was interesting! Lane's personality is so self-confident that she doesn't seem fazed by his rather glum demeanor; it doesn't seem to even register with her character. The movie is so short it makes one curious about how they got together in the first place and how she "sees" him...but I liked them together. Laura, your intriguing review has me curious and I looking forward to watching this film. 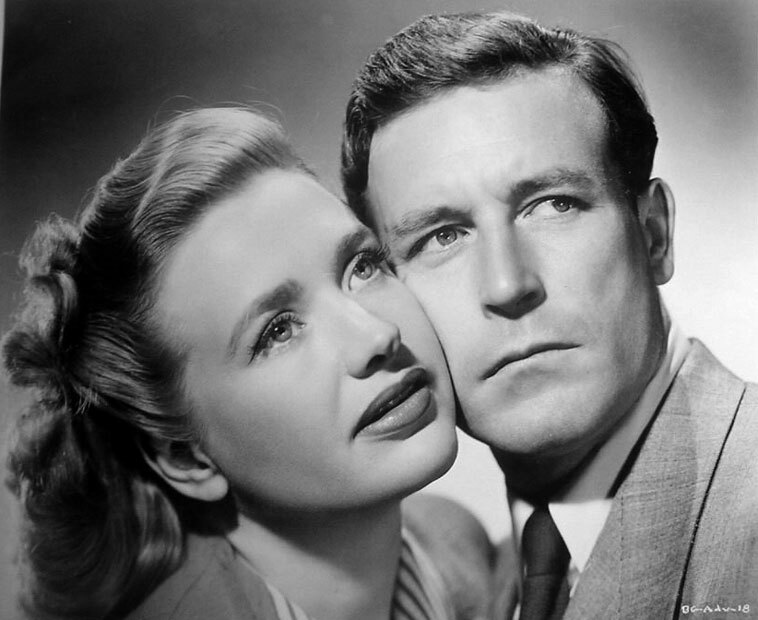 I’ve always liked Priscilla Lane and Lawrence Tierney is good in BORN TO KILL with Claire Trevor. 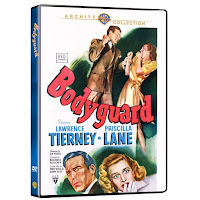 The plot description reminds me a bit of THE TRUTH ABOUT MURDER, with Bonita Granville in one her more adult roles, thanks for sharing THE BODYGUARD and I’ll keep the title in mind. Thanks very much, Gypsy! I've made a note of the Bonita Granville title you mentioned, that sounds like fun too.